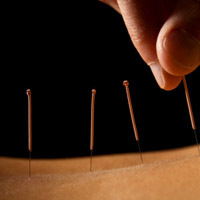 Hayley’s acupuncture session is a unique combination of acupuncture, energy healing, and massage. This combination is extremely powerful and promotes healing physically, mentally, emotionally, and spiritually. Hayley practices acupuncture using a system called Huatuojiaji. This system was developed by Doctor Hua tuo over 2000 years ago and was expanded upon and taught to Hayley by her teacher Tom Tam. Huatuojiaji translates as “ to treat the spinal cord”. Jiaji in Chinese Medicine means “both sides of the spine”. In this system blockages are located along both sides of the spinal column. Treating these blockages is deeply calming to the nervous system and promotes healing of the body, mind and spirit. When appropriate Hayley also integrates dietary suggestions into the healing session. Hayley offers energy healing sessions that can be done in person or over the phone. These sessions are a unique combination of energy healing, tong ren, chakra balancing, matrix energetics and guided meditation. These sessions are 30-60 minutes long and can be used to heal the body physically, mentally, emotionally, and spiritually. Hayley has studied and practiced meditation for over 20 years and also incorporates meditation skills into the session when appropriate. Hayley offers Health Coaching Sessions that integrates her years of nutritional study and health coaching training. Hayley works with clients in a slow and steady way to make gradual changes that can be sustained and lead to increased health and wellness. Hayley’s philosophy is that no one eating plan is right for everyone and we each need to find foods and eating habits that work for our unique body type. Hayley works with individuals to help them be the best that they can be physically, mentally, emotionally, and spiritually. Health coaching sessions are available by phone or in person.